In gardens pillbugs feed on young shoots and roots. They may nibble on fruits or vegetables such as strawberries, melons and squash. In greenhouses, large numbers of them can become troublesome. Indoors, they are generally harmless. If they do make their way Inside the house, they quickly dry up and die and can be easily vacuumed up. If they do become problematic in the house, controlling moisture levels by fixing leaks, insulating sweating water pipes and dehumidifying, will help eliminate or limit their presence. Sowbugs and pillbugs both look similar to a mini-armadillo. They have oval bodies—convex above and a flat or hollow bottom. But the difference between a sowbug and a pillbug is that the pillbug can roll up into a tight ball while the sowbug cannot. 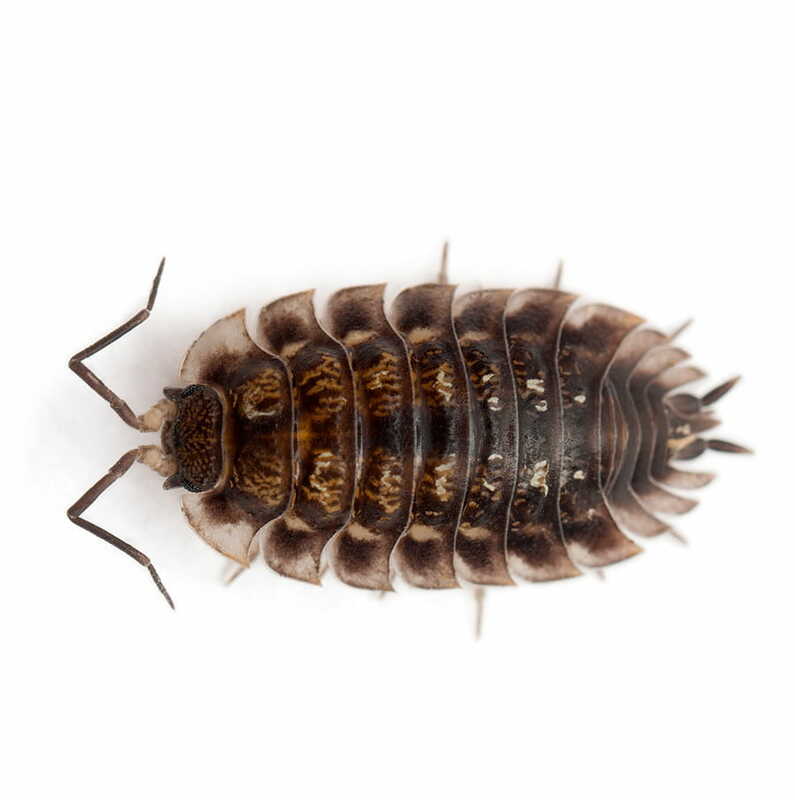 Sowbugs also have two tail-like appendages that pillbugs do not. Sowbugs and pillbugs both look similar to a mini-armadillo. They have oval bodies—convex above and a flat or hollow bottom. They are dark grey in colour and each have seven pairs of legs. The difference between a sowbug and a pillbug is that the pillbug can roll up into a tight ball while the sowbug cannot. Sowbugs also have two tail-like appendages that pillbugs do not. Active mostly at night, pillbugs and sowbugs are garden dwellers that feed on decaying materials and vegetable debris. Although they can be beneficial recyclers in gardens, they can sometimes become pests. The female sowbug and pillbug will give birth to many while she is still quite young, resulting in one or two generations per year depending on environmental conditions. The female carries her young in a pouch called a marsupiam on the underside of her body. Sowbug and pillbugs can live as long as three years. How do you tell sowbugs and pillbugs apart? Sowbugs cannot roll up into a tight ball like pillbugs can. They also have two tail-like appendages that pillbugs do not. Do sowbugs and pillbugs live indoors? 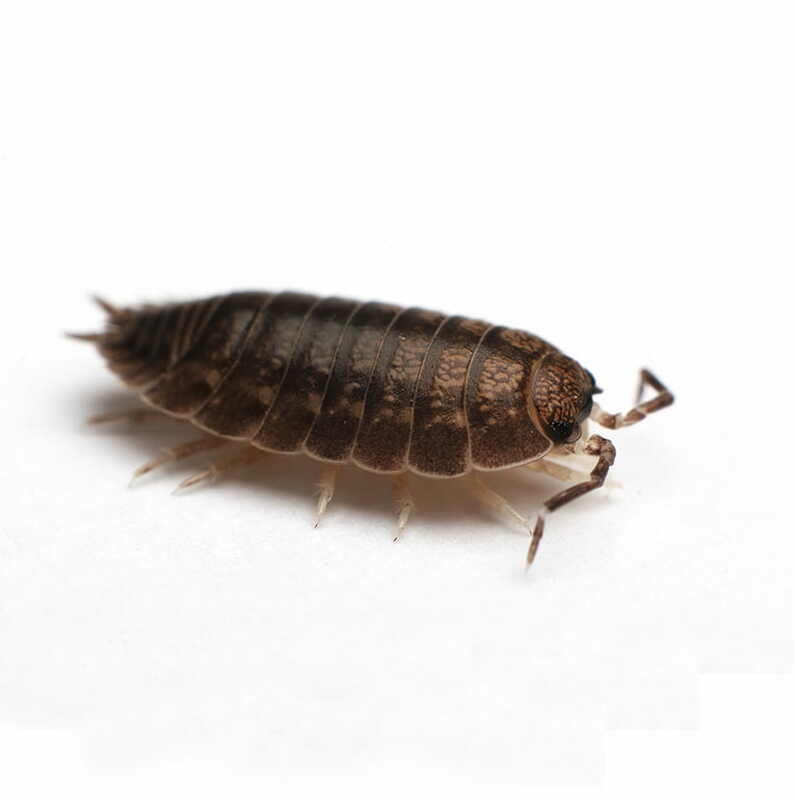 Generally, sowbugs and pillbugs do not survive long inside as they dry out quickly, but they may invade damp basements as well as the first floor of buildings. When this happens, they are most likely present in large numbers in the soil or under the plants immediately outside the building. What do sowbugs and pillbugs eat? Sowbugs and pillbugs normally feed on decaying vegetable matter. 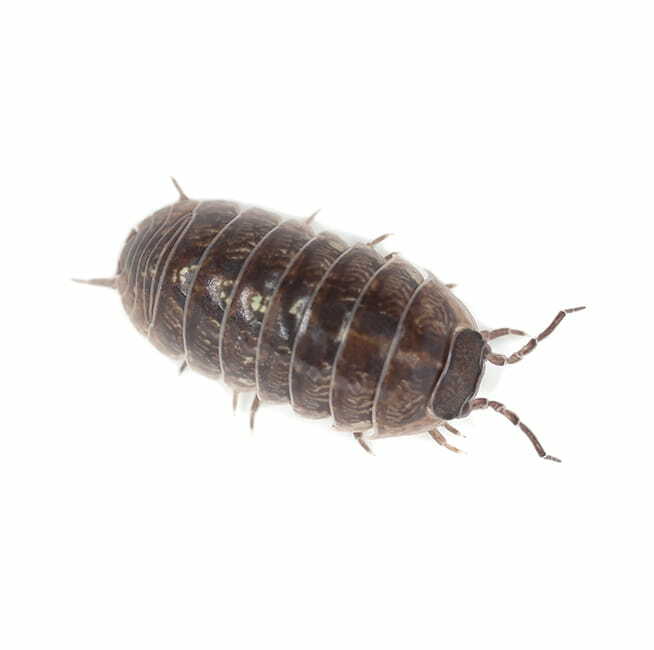 Are sowbugs and pillbugs active in the winter? They become inactive during the winter months except in artificially heated buildings such as greenhouses. What are the breeding habits of sowbugs and pillbugs? The female sowbug and pillbug will give birth to many while she is quite young, resulting in one or two generations per year depending on environmental conditions. The female carries her young in a pouch called a marsupiam on the underside of her body. What can I do to prevent a sowbug and pillbug infestation? Remove all leaves, grass clippings, mulch, boards, stones and similar objects close to the building since these may harbour sowbugs and pillbugs. Avoid excess moisture in basements or crawlspaces and repair any cracks or openings.